Buying a commercial property can be an excellent way to supplement your current family income and maintain your current lifestyle. Whether you are interested in finding real estate for family-oriented services, retail space, or another type of commercial property, there are some crucial things to keep in mind to ensure the purchase goes smoothly. Before you even start browsing listings for commercial properties, you need to have a clear starting point in your mind. Investing in commercial property can range from a tiny shop to a mid-size childcare center to a large mall. You must sit down and calculate what you can realistically invest when buying a commercial property so you know which selling offers are within your budget. With that figure in mind, you can begin to browse listings and get a feel for your potential profits and create loose goals. 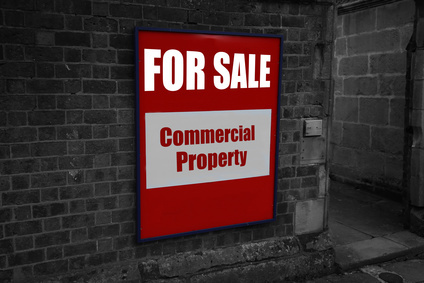 Another step to take care of before you begin looking for selling offers of commercial property is to ensure you understand all the lingo used. Commercial property is relatively specialized so you will come across the occasional term that the average person does not know. Avoid confusion and wasted time in the future by familiarizing yourself with these terms ahead of time. If you have not previously purchased a commercial property, take the time to do your research, which includes talking to experts, either online or in person. They should be able to provide some general advice and warn you of several pitfalls to avoid. You do not want to set anything in stone before finding the commercial property to buy, but you should come up with a general idea of what type of property you want to purchase and where you want to do so. Looking for flats you can rent out for a profit is very different than renting out a retail space or opening a child care center, which you can find at Childcare4Sale.com.au. Figure out what type of property you will be comfortable with then select a location that is close to where your family lives so you do not have an excessive commute. With a clear idea of the type of commercial property you want and where you would prefer to buy it, it is time to research the market. This will let you know about current trends that can impact what you should look for in a property. It can also let you know whether prices seem to be rising or falling, which could indicate you should buy right away or consider waiting a little. At the same time, research demographics of the area, taxes, and any environmental concerns. As with any other type of property you consider buying, always have a full inspection done on a commercial property before you sign the paperwork and commit to the purchase. You want to ensure that the property is in good condition and valued appropriately. Otherwise, you may lose a significant amount of money making unexpected repairs.